The concept is discussed at length in a book authored by Nicholas Monk, Carol Chilington-Rutter, Jonothan Neelands and Jonathan Heron. 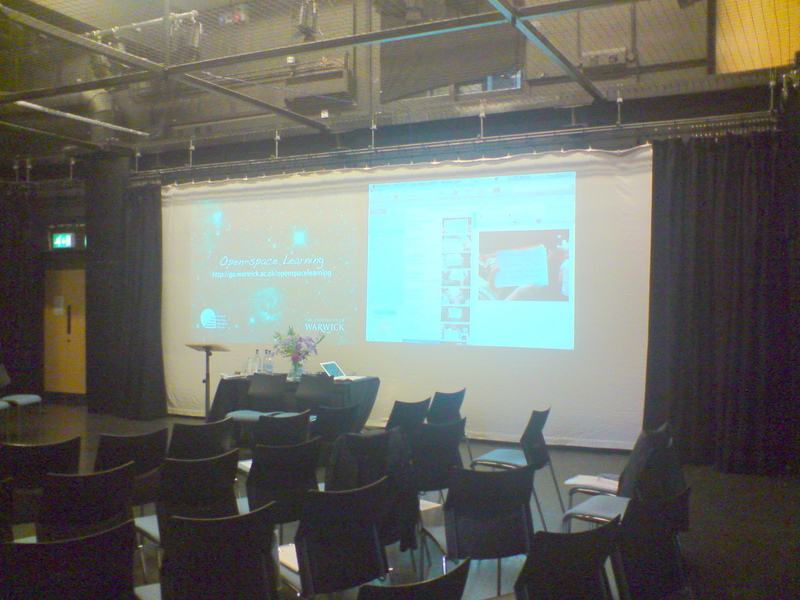 The dissemination conference on 27 June 2011 included both theoretical and practical elements. The book authors provided the background drawing on theories of pedagogy (Augusto Boal, Paulo Freire, Howard Gardner and David A Kolb), sociology (e.g. Stuart Hall, Fernando Ortiz), performance (the concept of the ensemble) and the ‘trans’ (for example, transgressive, transcultural, transdisciplinary, transcendent, etc.). OSL is challenging for all. Tutors have to accept that in this situation they are there to be ‘dethroned’ of their knowledge; i.e. students discover their tutors do not have all of the knowledge in the room. Criticially, the interaction in creative spaces involving play renders the learning experience both memorable (students remember the sessions) and memorisable, in that the content is also captured. The learning spaces themselves are interesting. The University of Brighton’s and Sussex’s inQubate creativity centres came from the same conceptual space. 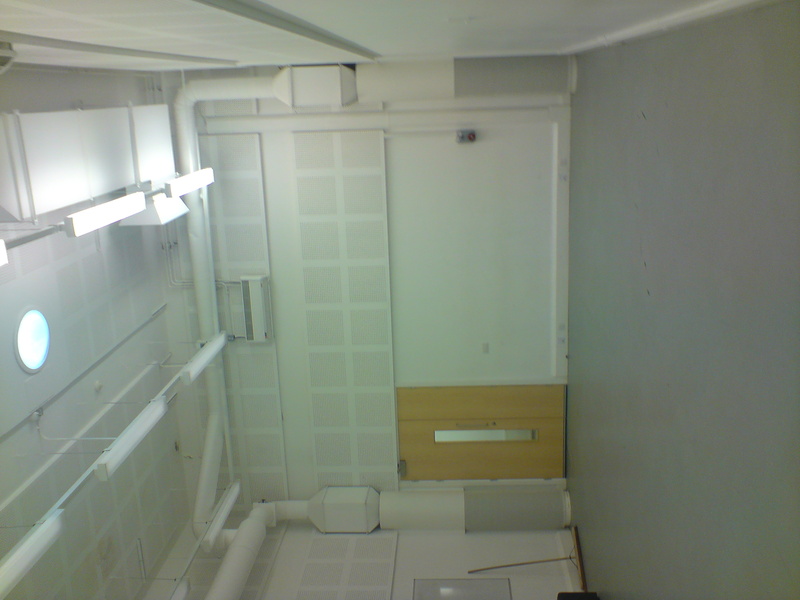 Warwick elected – by virtue of their proximity to, and collaboration with – the Royal Shakespeare Company, to create a rehearsal room and a studio space (pictured). No desks. The ensemble of students at the heart of the method, in some cases, act out roles. For example, first year chemistry students acted out elements in the periodic table, capturing their properties and those of the elements next to them in the table (see notes below). This built up a rapid knowledge about both elements and the table. As a foundation for, and complementarity to, more traditional chemistry teaching, it certainly seemed to capture the imaginations of both students and professors. There are a number of dependencies. This trial had the skills of a very talented facilitator, Jonathan Heron. Be under no illusions, he is a rare resource. Secondly, ‘lead learners’ acted as conduits and evaluators. Naturally, they were self-selected and all very keen and evangelical about the method. Students are known to be sceptical of activities that do not carry grades. Lead learners, therefore, carry the metaphorical torch for an alternative experience that potentially does more than enhance the learning experience. I wonder now how the Dutchess is feeling after her first brush with people who not only are un-interested in her, but positively hostile to the institution that she has married into. Quebec was always going to be a challenge, but the posters and chanting may well have surprised her after all of the adulation. The lovely couple have now gone to Canada to test the water of popularity. A complete load of drivel this morning on the Today programme again on this topic. They devoted 7 minutes to this subject at a time of global crisis and domestic strikes. Now we’ve got a new picture of the Queen and the Duke. All part of the run up to the Jubilee. The picture is fantastically composed by the German photographer, Thomas Struth. He talks about the picture on an interview on the BBC (http://news.bbc.co.uk/today/hi/today/newsid_9520000/9520539.stm). Worth a listen. As for the picture, remind me not to be like that when I get old. 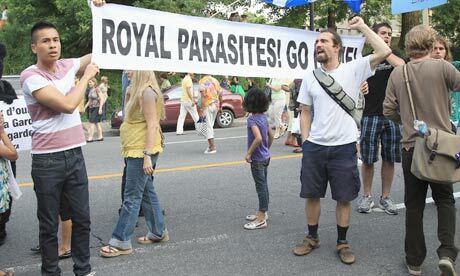 As a symbol of the monarchy, we republicans are winning. It’s all ramping up nicely. 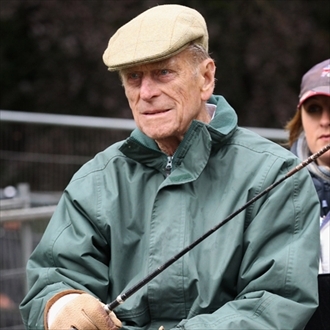 What a splendid fellow is the Duke of Edinburgh (picture http://www.freeloader.co.uk). What a brick he has been to the Queen as she carries out her duties on behalf of the nation. She’s had a birthday as well. Many happy returns Maam, or however one is supposed to say it. Ah yes, that very ordinary Dutchess, Kate, or whatever we are supposed to call her these days, is now advertising for a Dresser/Lady in Waiting. It’s just that the public engagements can sometimes mean two or three changes of outfit and it is just too much responsibility for the poor woman to manage. She needs someone to take on clothing responsibilities. Internal appointment, though. It was a big enough story for BBC Radio 5-Live to devote a mind-numbingly irrelevant 10 minutes to it on the Drive show in the week. The Firm has certainly reasserted itself as it heads towards the Jubilee next year. To that end, I have changed the heading here from the previous Royal Wedding to Royal Watching. I tried to avoid it. When Charles got married, I cycled up to Bridlington with no radio. Lovely sunny day; I enjoyed myself. This time, I drove to Hull, but I listened to the radio with my companion. I’m disappointed with the BBC and some of the ‘reporters’. Why did Jonathan Agnew and Eleanor Oldroyd stoop so low? Naughtie, again, being reduced to talking about dresses and Victoria Beckham’s hat. Jane Garvey, you are better than this! This pictures sums up much of it. Of course, I do not really understand. Why would anyone be interested in this couple, and particularly this family? Why would so many people go to Central London on that day? Why are there so many fatuous arguments given by those people for being there? : ‘I wanted my children to be part of history’ is the one that annoyed me the most. What kind of history is this? At a time of major global unrest, why do these people not send their children to Syria or Libya? 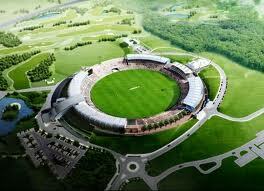 There is plenty of history being made there! 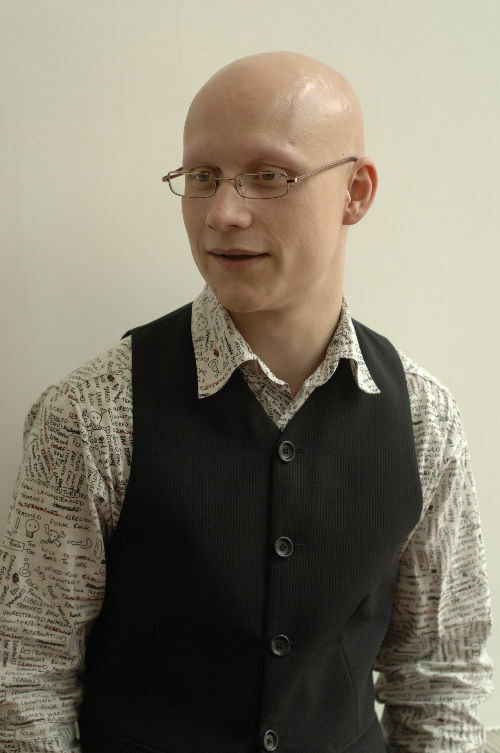 Then there is the security expert on Radio 4 who discussed the security organisation for the event. Quite without irony he talked about all the phone ‘listening’ that had been going on to ensure that the event passed without incident. Who are the people who had their calls intercepted? Did the Home Secretary sanction this? At least we may get the day off (helping the country’s productivity). Maybe now there is room on the wanted list for some bankers? How interesting and coincidental. My Global Criminals section a couple of weeks ago reported 7 Africans wanted by Interpol. Yesterday, Fazul Abdullah Mohammed, wanted for his alledged involvement in the Nairobi and Dar es Salaam embassy bombings has been allegedly killed by Kenyan authorities. Oddly, Fazul Abdullah Mohammed, was not on the list. The time came for the authorities to pick up Ratko Mladić; seemingly no point in sheltering him any longer. Off to The Hague to join Milošević and Karadžić. 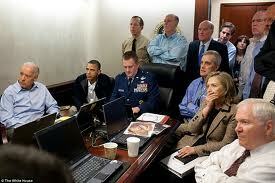 Osama bin Laden’s time also came, though no Hague court for him, oddly. The picture of Barack Obama (right) watching the execution along with his aides and Hilary Clinton will become iconic for its surrealism. There was a $25 million reward for information leading to his apprehension. Who’s left? The FBI website still has Bin Laden on its top ten list (though with a red banner supporting the word ‘deceased’). The other nine are petty by comparison worth each a paltry $100k with the exception of James J. Bulger worth $2m with 19 counts of murder to account for. Interpol has 7 Africans from Sudan, Congo and Uganda on its recent list wanted for crimes against humanity. There are still 7 sought for the Rwandan genocide. And with Mladić in custody, the Balkan’s most wanted is Goran Hadžić, wanted for 14 counts of war crimes, most infamously, the 1991 Vukovar massacre of 250 people. Crimes against humanity are incomparable. That said, crimes against the global economy ought to attract the attention of the International Criminal Court. Some of the accused might be easy to pick up as most are regularly advising Barack Obama on economic policy or sit in Ivy League universities in the US. I recommend readers to view Charles Ferguson’s documentary film, ‘Inside Job’ to view the evidence. It’s also worth looking at Adam Curtis’s latest documentary ‘All Watched Over By Machines of Loving Grace’ to see just how indictable some of the bankers and politicians are. Well, having posed the question four days ago, I now discover that there is quite a movement for default. The link below is to the hottest documentary at the moment making the case for default. It was featured this morning on the Today programme which surprised me somewhat. The film discusses ‘odious debt’ and how both the United States and Ecuador used it to write off debts (the US over Iraqi debts after the invasion). The Ecaudorian odious debt was uncovered by a panel of experts who trawled through the country’s finances to find out who were the creditors and whether the transactions that had brought it about were ‘legitimate’. For example, there is an accusation that large enterprises, including Siemens in Germany, used bribes to win large contracts such as for the Athens metro. The film makers, not surprisingly, call for a similar audit to be conducted in Greece. Yesterday I was at the Rose Bowl for Day 3 of England v Sri Lanka. The logistics of the Rose Bowl are impressive. They have a pretty efficient park-and-ride system served by delightful first generation Leyland Olympian buses. Worth it by itself. The day was hugely frustrating with constant showers that built up whilst the ground staff were mopping the outfield after the previous shower. We lost a whole session, though it being June, they extended the final session to 1930. Good to see Kevin Pieterson and Alistair Cook batting well. Great experience. It is still the elite form of the game. One other point of note is the amount of fancy dress groups that attend. This day was populated by a wide array of thematically dressed groups of males. Bananas do seem to be ever-popular. Also the 118118 men are relatively easy. Teletubbies, pirates, crabs, fishermen (in oil skins, appropriately for the weather) and my favourite, Dickie Birds. However, as the alcohol flows and the play gets delayed even further, the groups start taunting one another for want of something to do. We are all on the same side, but it feels a bit like rival fans in football. Lorraine Bowen’s celebration of 70 years of polyester, with its countless priceless exhibits of ‘fashion’ items, is a show well worth seeing. Lorraine’s unmistakable songs and quips are complemented in this show with additional support from the Hurstpierpointer Sisters and the fabulous Alistair whose unspeakable belly should not really be exposed. Last night’s show was on the Battersea Barge, another curiousity, situated on the Thames Path in the shadows of the old Battersea Power Station. No real passing trade, but a gem of a venue for an intimate night out. Lorraine is ‘touring’ with the show in Sussex. 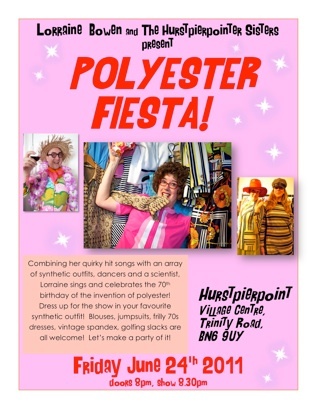 On 24 June the show goes to Hurstpierpoint itself. Her new album is also worth a listen. Her eulogy of Bexhill on Sea contrasts very much with her oh-so familiar experience in the queue at the Post Office. Both are comforting and reassuring in different ways. There is a darkness in her song made up exclusively from railway station announcements. We’ve all been there, too. It seems this morning that Greece is not only going to default on its Euro commitments, but that it is probably heading for some ugly political instability. And watched over by the helpless partner economies in Europe, most notably Germany. What is the right thing to do? Default or not default? I’m a cyclist and sometimes I do silly things. Fortunately, I have got away with moments of madness. I do not do it deliberately. I stop at traffic lights. I do signal. I wear a helmet and appropriate clothing (with visibility). I get very annoyed with cyclists who abuse both the roads and cycle paths. Those cyclists who overtake me at controlled junctions requiring me to overtake them again on the busy Lewes Road, only for them to overtake me again at the next controlled junction. They annoy me. The link also provides links to two videos that I recommend. One is a very funny video about a man who was fined in New York for not cycling in the cycle lane. The second tracks one junction in NYC just to show how crazy all road users are. All road users have some culpability. Pedestrians are now so wedded to their mobile devices that they do not look where they are going. 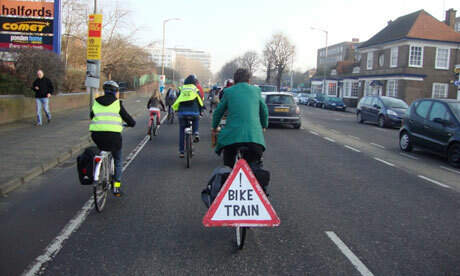 In particular, they are incautious when it comes to walking in or crossing the cycle tracks in Brighton and Hove. Drives me nuts. Back on my bicycle riding into the University for the first time since the accident (see 18 October). Tough but exhilarating. 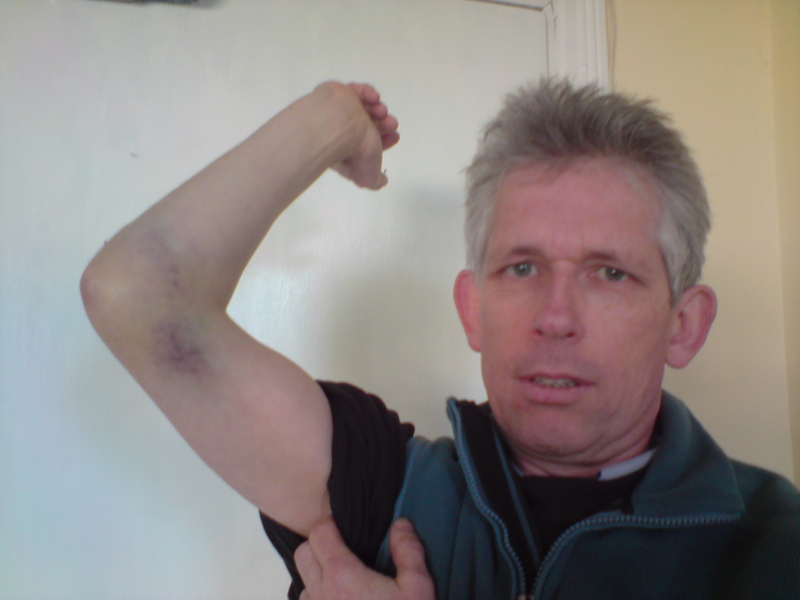 The arm still aches, but much stronger now enabling me to control the bicycle and manage the pressures of the road. Cyclists always expect at some time to come off their bicycles. Particularly tricky times are autumn (leaves) and winter (ice). It is autumn now, but I came a cropper on Thursday evening last on engine oil on an internal road at the University of Sussex. I ended up in Casualty, but fortunately no broken bones (see bruises, though). I was lucky, but it did not have to be so.It seems that the oil had laid undisturbed for 3 hours prior to my run in with it. No one responded to the knowledge when it was reported. By contrast, one cannot go into a newly-cleaned toilet without a big yellow warning sign getting in the way. Cover the carriageway in engine oil and no one acts. The summer has arrived, for sure. My daily cycle ride into the University is a delight. I need only one layer – the one that keeps me decent. 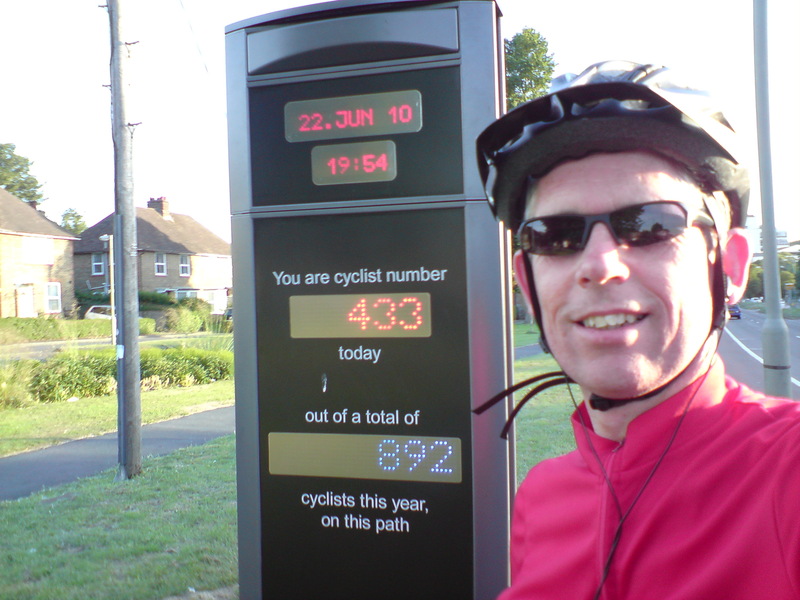 In Brighton there is a rather amusing little cycle counter on the Lewes Road heading towards the town. For some reason on Thursday, the daily number of riders was halved. Not sure why. I’ll keep my eye on this. The BBC’s German series was, on the whole, cliched and unwatchable. I started with Al Murray visiting the country – he having made a career out of parodying Gemans. He claimed that he would not resort to parody in his programme and then immediately did having found some crazy Germans swimming in the Baltic in mid-winter. Then there was Julia Bradbury’s Wanderlust exploiting the German’s real sense of excitement about the great outdoors (unfortunately, this often involves hunting with guns). There are some great walks to be done, for sure. But after the first programme where she walked along the Rhine, the rest were too much to contemplate. Dreadful woman. It’s not surprising she was alone. 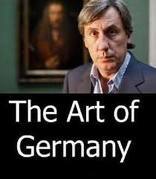 However, the pearl in this series of programmes was Andrew Graham-Dixon’s The Art of Germany (following briskly on from his earlier The Art of Spain). This is what television should be about. Informative, energetic, watchable and imaginative. Well written, presented and produced, this was a gem of a series. He’s now doing some BBC4 documentaries about individual artists, the most recent being Vermeer.